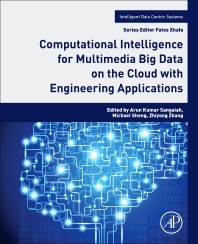 Computational Intelligence for Multimedia Big Data on the Cloud with Engineering Applications covers timely topics, including the neural network (NN), particle swarm optimization (PSO), evolutionary algorithm (GA), fuzzy sets (FS) and rough sets (RS), etc. Furthermore, the book highlights recent research on representative techniques to elaborate how a data-centric system formed a powerful platform for the processing of cloud hosted multimedia big data and how it could be analyzed, processed and characterized by CI. The book also provides a view on how techniques in CI can offer solutions in modeling, relationship pattern recognition, clustering and other problems in bioengineering. Researchers and PhD who want to understand and explore the application of computational intelligence aspects for design and development of data centric system in the context of multi-media cloud, big data era and its related applications such as smarter health care, homeland security, bioengineering systems, robotics and intelligent assistance etc. Prof. Zhiyong Zhang received his Master, Ph.D. degrees in Computer Science from Dalian University of Technology and Xidian University, respectively. He was a Post-Doctoral Research Fellow at Xi'an Jiaotong University, China. He is currently a full Henan Province Distinguished Professor and Dean with Department of Computer Science, College of Information Engineering, Henan University of Science & Technology. Prof. Zhang is a visiting professor of Computer Science Department, Iowa State University. He is an ACM Senior Member, IEEE Senior Member, IEEE Systems, Man, Cybernetics Society Technical Committee on Soft Computing, World Federation on Soft Computing Young Researchers Committee, Membership for Digital Rights Management Technical Specialist Workgroup Attached to China National Audio, Video, Multimedia System and Device Standardization Technologies Committee. Prof. Zhang’s research interests include multimedia social networks and digital rights management, applied soft computing, trusted computing, as well as security risk management. He has published over 80 scientific papers and four books on the above research fields, and held 8 granted patents. Quan Z. (﻿Michael) Sheng is currently a full Professor and Head of Department of Computing, at Macquarie University. Prof. Sheng has more than 10 years' research and development experience in the Internet of Things (IoT) and related areas such as service-oriented computing, radio frequency identification (RFID), sensor networks, and big data analytics. He has published more than 280 publications in these areas and is one of the top-ranked authors in the "World Wide Web" research area according to Microsoft Academic Search. Prof. Michael Sheng is the recipient to a number of prestigious awards including ARC Future Fellowship in 2014, Chris Wallace Award for Outstanding Research Contribution (2012), and Microsoft Research Fellowship (2003).